Even if you do not have any cardiac issues you should read Prevent a Second Heart Attack: 8 Foods, 8 Weeks to Reverse Heart Disease so you do not become it's next victim. According to the American Heart Association roughly 1.5 million people will have a heart attack this year and 38 % will die from it. Those are really upsetting numbers but scientific evidence shows that more than 80% of heart attacks can be prevented by lifestyle changes in both men and women. This is where the book comes in. The author provides guidelines that can help prevent your first heart attack and others after. The book provides a simple and easy to follow lifestyle plan (diet and exercise) to help heart attack survivors to live longer. Reduce your stree in your life. Take your medications if prescribed. Why the Mediterranean diet is one of the best diets to follow. What is LDL AND HDL and how it affects our bodies. How "Good Carbs" such as oatmeal, popcorn and whole grains reduce our bad cholesterol (LDL), prevent high blood pressure and control your weight. Why fish is important for hearth health. Why having a glass of red wine with dinner is good for your heart. How exercise helps to increase your good cholesterol (HDL). 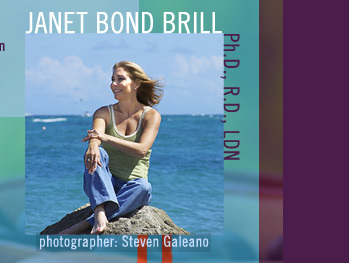 Janet Bond Brill, Ph.D., is a diet, nutrition, and fitness expert who has appeared on national television. She is the author of Cholesterol Down: Ten Simple Steps to Lower Your Cholesterol in Four Weeks--Without Prescription Drugs and specializes in cardiovascular disease prevention. Dr. Brill lives in Pennsylvania with her husband and three children. 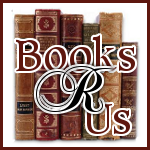 The books was fantastic, easy to read, informative and complete. As a Registered Nurse, I am familiar with the topics discussed in the book but in reading the book, I learned so much more about heart health. All of the information discussed was presented in a way that was concise and easy to understand. I especially liked the chapter that discussed what the underlying cause of heart disease-Atherosclerosis and how it affects the arteries. When I was growing up, my family always ate food rich in butter and creams unaware of what we were doing to our bodies. Now my family watches our fat and sugar intake to prevent heart disease and diabetes. The book was well researched and the information was up to date. I recommend the book to everyone to help them protect their heart. Would you like to win a copy of this great book? Thanks to the author, I am able to giveaway 1 copy of the book. Disclaimer: I was given a free copy of the book for my honest review and I was not compensated for my review. Please see my disclosure Policy. Please enter me! I'd love to read this as my hubby has heart trouble, and we'd love to prevent a heart attack! I'd love to win this and read up how I can have a healthier heart. What a great giveaway! I'd love to win this book! I would love to read this book. I was "lucky" and had an emergency heart cath and repairs before I actually had a heart attack. So, no heart damage. But, I am really careful and any extra info would be helpful.